929 has launched an English version. 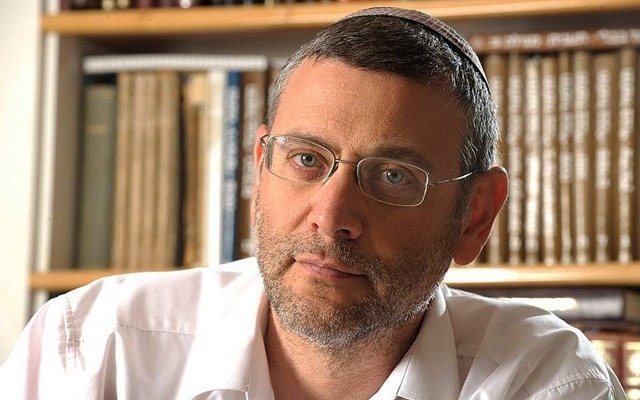 929 is a special program initiated by Deputy Education Minister Avi Worzman, Rabbi Benny Lau and journalist Gal Gabai. On Hanukkah, December 21, 2014, we began the first cycle of a community reading of the 929 chapters of the Hebrew Bible. Every day, we begin a new chapter with interesting commentary, explanations, videos, pictures, and narrations. If you want to know more, seek depth, find new meanings, discover new voices and be part of a broad community that is exploring together, then reading the Hebrew Bible with 929 is for you. Countless words have already been written about the text of the Hebrew Bible. It is a foundational text, an common denominator across the world, with stories and ideas that resonate in our lives up until today. As a book, it is amazing in its wealth. It is fun, exciting, moving, and full of contradictions. It is thought provoking and controversial. It covers a kaleidoscope of interests, covering topics as varied as history, politics, engineering, design, and cooking. It presents to its readers personal journeys and family odysseys, interpersonal relationships and the actions of great empires, fascinating anecdotes and cross-cultural myths, angry prophecies and poetry full of tenderness, legends and thoughts. Why a daily study program? This daily reading of the Hebrew Bible is based on its division into 929 chapters. The chapters were defined in the [early 13th century] and the division is attributed to Christian theologian [Archbishop] Stephen Langton. […] For many years, the tradition of learning in Israel has promoted the daily reading of the founding texts [such as the Daf Yomi system of reading the Babylonian Talmud], and now the daily chapter in the Bible joins this cultural custom. Israeli website “929” — devoted to the study of all 929 chapters of Tanakh (Scripture) — just announced that it is launching an English-language website[…] . The 929 project in its first cycle was not without controversy. Rabbi Benny Lau’s ideology was summed up in a Haaretz headline: This Orthodox Israeli Rabbi Is an Ultra-liberal and Not Ashamed of It. The right wing launched into multiple attacks on the site. It only took nine chapters for the project to run into trouble. Ari Elon, one of the most prominent, influential and well-respected scholars in the world of secular Jewish thought was invited to participate in the project and write his daily commentary on the daily chapter. Elon is known for his provocative and audacious commentary on the Torah and the Talmud, challenging the concept of God with linguistic acrobatics and unconventional associations (author of Alma Di: From Jerusalem to the Edge of Heaven). Only nine chapters into 929 and Ari was already disinvited. “Cool it,” he was told by Lau, “your secular approach is insulting and angering some of the Orthodox rabbis” (paraphrased from Ari’s Facebook page). The controversial commentary which got Elon in trouble relates to Genesis 9 verses 5-6: “Whoever sheds man’s blood, by man shall his blood be shed, for in the image of God made He man.” A moral decree, needless to say, given on the heels of the great flood, which destroyed the vast majority of the creatures of the world. Ari dared to point out that God himself doesn’t follow his own edict. He doesn’t practice what he preaches. What does God have to say in defense of his own actions, Ari asks. In a clever play on the words of the scripture, Ari poses the ultimate heretical question: “What kind of man creates such a God in his own image?” The result of Elon’s participation in 929 has been the birth of a Glatt-Kosher version of the initiative. The main tool for following along is the 929 English website. The site has apps for the iOS and Android platforms. The amazing website Sefaria.org has a portion of its calendar section devoted to 929. 929 has Facebook pages in Hebrew and English, although the English page currently has almost no content. A list of abbreviations and acronyms that I use in this series is available here (constantly being expanded). And, of course, there are a huge number of Bible translations, Bible commentaries, and Bible websites available. I’ll be mentioning some of my favorites as we go through the series. It is, perhaps, a peculiar disease of academics that we feel need to have an opinion about everything, as Jacques Ellul famous observed in his book Propaganda. The Hebrew Bible is far too large and complex to try to do that. So instead, in this series, I will try to just make a simple observation. If I can, I’ll make some original comment, but that is not very easy with a text that is so widely discussed. So instead, I’ll often simply react to a comment on the 929 web site, or repeat some observation that I learned from someone else. I don’t want to argue for a certain perspective in this series, merely make observations (or repeat observations that from others that I found stimulating). Of course, as always, the whole BLT team will be on the lookout for comments that are spam, hateful, off-topic, or inappropriate. We believe in freedom of speech here, but if your speech falls into one of those categories, please preset your ideas on your own blog. 929 is a project centered in Israel, so it uses the Jewish weekly calendar, starting on Sunday and finishing on Thursday, with Friday and Saturday being review days for the weekend and Jewish Sabbath. The cycle began on July 15, but presentation of English language content was tied to a major site revision. That got delayed for two weeks, so the English version is only launching now. Until we catch up, my posts will be back-dated to the date that the chapters were announced. I hope to catch up with the site in due course. Of course, I am painfully aware that many projects of this sort fall completely flat. For example, Congregation Kehillath Jeshurun (the New York synagogue of Ivanka and Jared) launched a blog with great fanfare to follow along with the 929 project. The blog dutifully covered Genesis chapters 1 through 16 individually. It did chapters 17-20 as a group, and then chapters 21 and 22 individually. It skipped chapters 23-31. It covered chapter 32, and then apparently stopped. Perhaps this series will suffer the same fate. But I hope it does not and that I will be able to continue working through the chapters – perhaps along with you. As I write this series, I hope to keep in mind the memory of Suzanne McCarthy, our co-blogger whom we all miss. I’m looking forward to reading a bit of the Bible with the 929 community – and with you.